What do you do to ensure customers return to your dealership the next time their car is due for renewal? It may be tempting to try direct marketing tactics, or simply hope you’ve provided a good enough experience to tempt them back in the future. In reality, direct marketing tactics are great for attracting new business and keeping existing customers engaged with service offerings, but to build long-term relationships with car buyers, you need to increase trust between them and your dealership. We live in a world where customers need direct access to the brands they trust the most, no matter where they happen to be or what device they have at hand. Being just a finger-tap away from your customers will help you establish a layer of trust – a brilliant way to increase engagement. OneDealer puts the entire dealership experience at the customer’s fingertips by offering a fully-branded, virtual dealership that can be accessed at any time. Opening times consequently become irrelevant and, by offering a private, personalised account management portal, you’ll always be there for your customers. Honesty goes an awfully long way in the automotive trade, which is why you should always be transparent about any potential roadblocks or delays that might happen during any customer journey. Car buyers need to feel protected when making such a significant investment. A car is a big purchase, no matter your budget, and if you can take time to proactively learn their needs and provide them with more than one option that will suit, they’ll realise you have their best interests at heart. 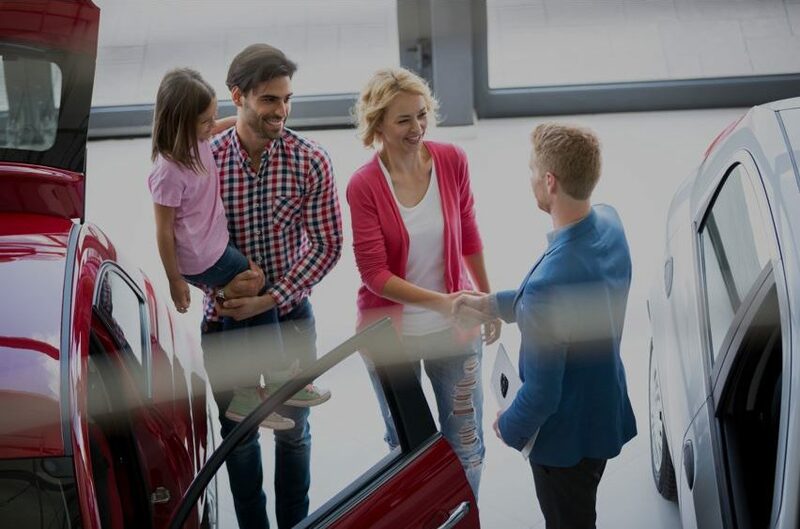 Chances are, your customers will be inclined to shop around whenever they need to buy a new car, and you need to ensure your dealership stands out among a sea of alternatives. One way to do this is to accept that variable pricing is a challenge that can be overcome. Customers will typically initiate negotiations, as they’ll usually feel that the last person to buy the same car will have paid less and therefore got a better deal (whether true or not). If your dealership embraces negotiations by offering discounts where appropriate or by adding additional value elsewhere (for example, better service packages or free extras), the customer will start to trust you and respect your approach. There’s nothing worse than a dealership that promises the world but fails to deliver when the moment arrives. If a customer arrives to collect their new car, only to find that something they asked for has been forgotten, it’ll leave a bad taste in their mouth and severely limit any chance of returning in the future. Remember: car customers trust you with a significant financial investment, which inevitably means the level of trust is fragile from the start. Customer retention will only increase if your dealership always delivers (or, ideally over-delivers) on its promises. The automotive industry benefits from a vast array of tools that are designed to increase operational efficiencies at dealership level. That means you can rely on software to increase customer trust while vastly improving your internal operations. For example, in OneDealer Sales & Lead Management, communication delay is non-existent, thanks to dedicated task management tools which ensure every customer promise is delivered on time. A comprehensive appointment scheduling system, which is easy-to-use and immediately available, focuses sales staff on spending more time with customers, rather than on internal administration. Similarly, regular messages sent directly to customers via SMS and email that provide news and updates on their enquiries, will bring buyers closer to you, thus increasing trust, brand recognition and the likelihood they’ll always return. The takeaway is simple: to increase trust between dealerships and car buyers you need to shake off the traditional product-driven, transactional, sales process. Customers need to be rewarded for their loyalty, but also left in no doubt that every promise made by your dealership will be enacted upon.